Chart ModelKit by Perpetuum Software LLC is designed for .NET Win Forms applications and provides a comprehensive set of 2D charts. It's possible to use any .NET data sources including ADO.NET, IList and IListSource objects. An intuitive WYSIWYG designer interface allows you to easily adjust chart elements with the mouse. It's simple to set the properties of any selected element in the Property Grid. The designer is available both at design time and run time. Create bound and unbound charts. 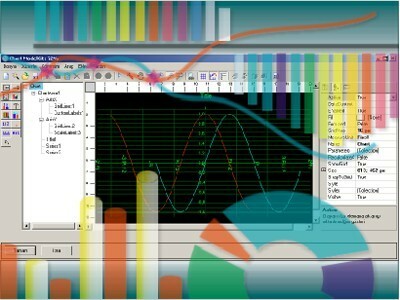 The open object architecture of the product provides the ability to combine objects arbitrarily and thus to create unique and non-standard chart configurations or to use Instrumentation ModelKit elements for this purpose. The rich library of the Chart ModelKit contains a comprehensive set of standard elements: axes, labels, legends, titles (etc.) and a set of available series types: Pie, Bar, Stacked Bar, Stacked100Bar, Spline, Line, Bubble, Area, Stacked Area, Stacked100Area, Stock, and Candle Stick. Such GDI+ advantages as gradient fills, anti-aliasing, alpha blending, and backgrounds are available. View charts in Windows Forms. The product is included in the .NET ModelKit Suite package and is easily integrated into such components as Report Sharp-Shooter, Instrumentation ModelKit and OLAP ModelKit. The following export filters are offered: SVG, Flash, BMP, JPEG, GIF, PNG, TIFF. Distribution of Chart ModelKit is royalty-free. Please be advised that Chart ModelKit 3.0 supports only .NET 2.0. If you work with .Net Framework 1.1, please use Chart ModelKit 2.3 which supports .Net 2.0.